Runs three air conditioners with power to spare. Quieter than National Park Service sound level requirements. This generators is perfect for all your camping and RV needs. Cummins Onan has some of the most reliable products on the market. Check out all the RV diesel generators that Colorado Standby has! • Special sound-controlling housing encloses cooling system and muffler. 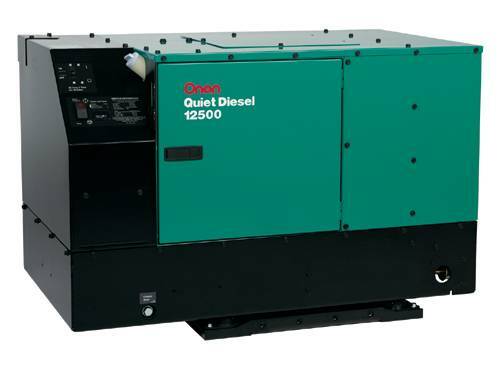 • Computer-controlled constant speed operation - quiet diesel performance for larger RVs. • Self-diagnostic capabilities simplify troubleshooting. • Runs two or three rooftop air conditioners with power to spare.